The 2013 Kia Optima has been named the “most affordable” midsize sedan by Cars.com, an online resource for buying and selling new and used cars. The Kia Optima LX finished fifth on the list with a total cost of $34,650, $1,675 more than the Optima. Taking into account specific features and the five-year estimated fuel cost, Cars.com compiled a list of 10 midsize sedans, ranked from most to least affordable, with the Kia Optima taking the top spot. Contenders had to be equipped with equipment like automatic transmission, cruise control, a USB connection, Bluetooth, power windows, a power driver’s seat and a rearview camera. Nissan Altima SV, 33,620; Honda Accord Sport, $33,980; Mazda6 Touring (2014), $34,490; Ford Fusion Hybrid SE (2014), $34,740; Subaru Legacy (2014), $35,535; Chevrolet Malibu 1 LT, $35,760; Toyota Camry Hybrid XLE $35,910, and Ford Fusion (2014), $36,290. “The midsize sedan remains one of the most popular segments in the U.S.,” said Olsen of Cars.com. “They serve as great cars for families, commuters, road trippers and more. 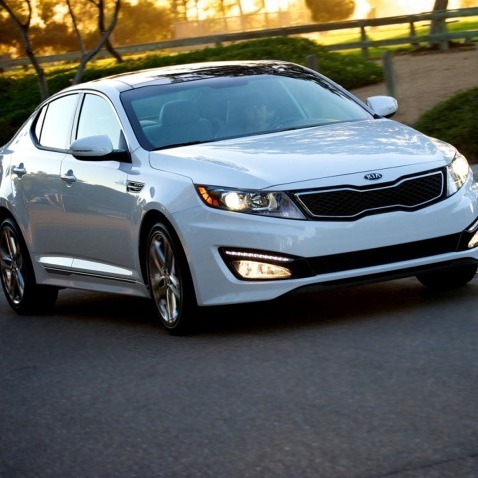 Kia Optima finished second behind awardee Volkswagen Passat in the 2013 JD Power APEAL rankings. For report on APEAL rankings see our Aug. 6 post at The Open Road blog. RoadLoans is a trusted lender of Cars.com.